This is a 4 bedroom, 4 bathroom house built by the current owner to high specifications. The house is complete with a European kitchen along with Thai kitchen outside, a private swimming pool with jacuzzi and waterfall and a well-maintained garden area. 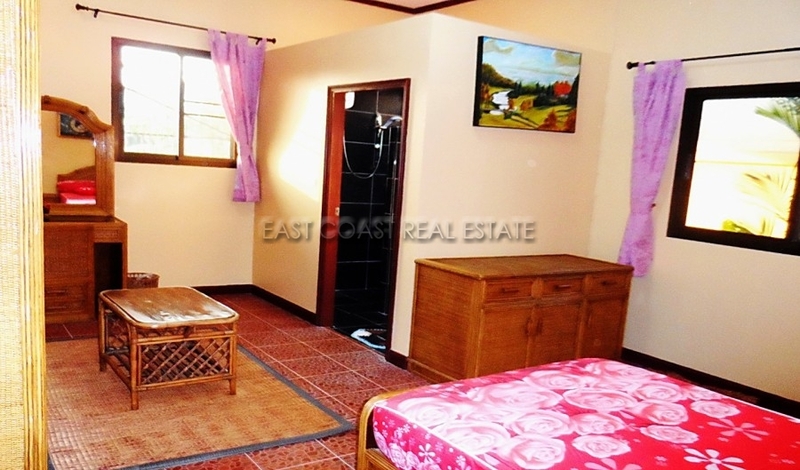 The house is 280sqm and is being sold fully furnished. This property is well built to high standard, with granite floor, high quality Kitchen, Power showers, three air-conditioning units, ceiling fans, hot water and very large off-road parking. 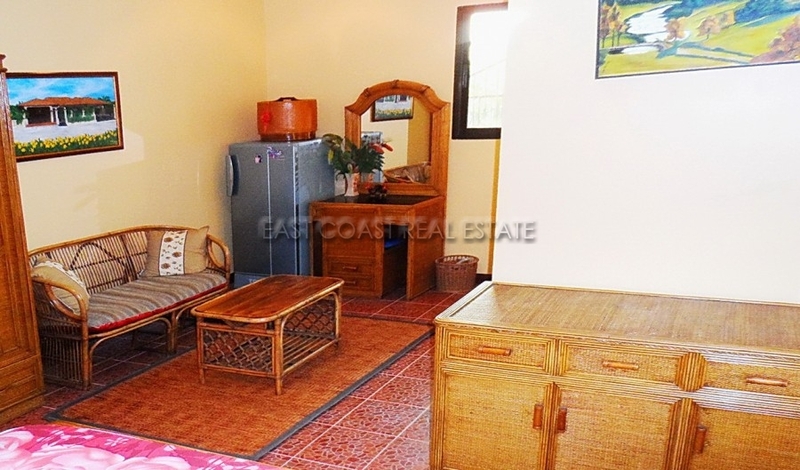 This house is situated within a walled village with 24-hour guard, near to Tesco-Lotus supermarket and the busy Trappasit Market. In addition, it is close to a bus route into central Pattaya and very near the town, but still in a very quiet area. This area has a very high land cost, and the owner has made sure he has made the best use of the land, using the best materials. 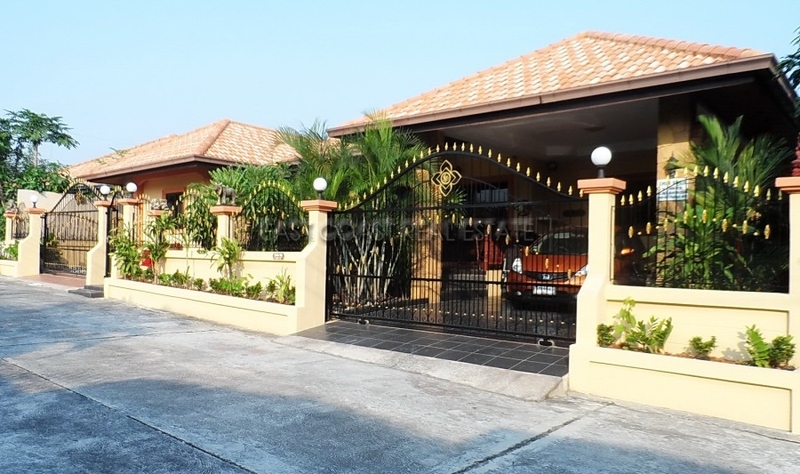 This property is being sold in Thai Company name, so no expensive transfer fees.